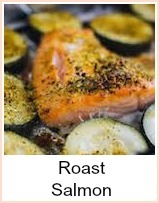 Maria, from My Favourite Camping Store has kindly contributed this barbecued salmon recipe to add to my collection. I met Maria through a forum and she has been a great source of advice and information whilst I've been on this very steep learing curve of building a website. She is so friendly and helpful and I feel as though I know her very well even though we've never met. Her site is great - she has all sorts of suggestions that are not in the least conventional - did you know for instance that you can cook breakfast in a paper bag? Yes - really you can. Just think - no washing up!! She reckons (and I must say I agree with her) that food cooked in the outdoors has a delicious flavor that no seasoning can match. Camping and cooking over a campfire is a lot of fun. 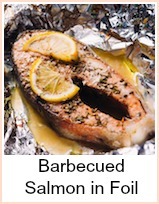 OK - so here's her barbecued salmon recipe - she says it's delicious for backyard BBQs or camping trips - who says you can't have gourmet camping! Sprinkle salt and pepper over salmon. Rub it lightly into the fish. Place in large Ziploc bag or shallow glass container. 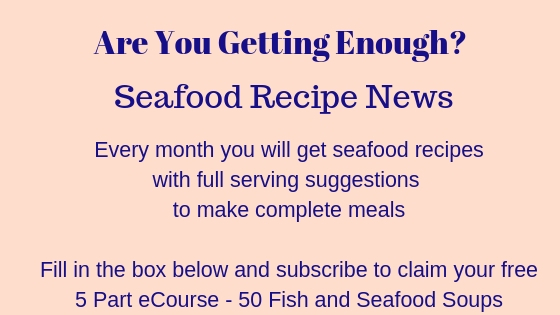 Combine brown, sugar, broth, oil, soy sauce, green onions, lemon juice, lemon peel, and garlic; pour over the salmon. Seal and refrigerate for 1 hour, turning once. Drain and discard the marinade. 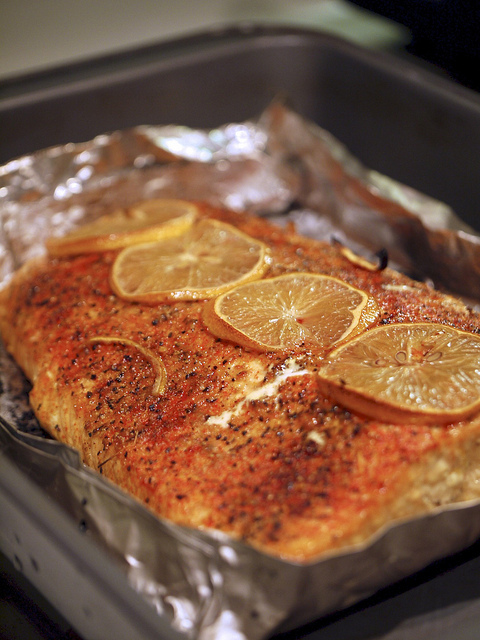 Barbecued salmon is one of the most popular fish to cook on a grill. 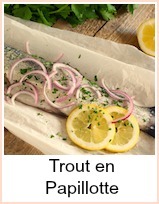 This is superb with a gorgeous marinade that you use to baste the fish as it cooks.